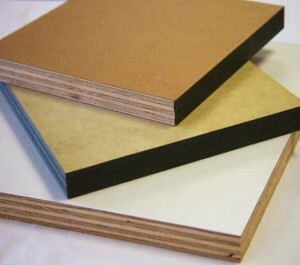 Paneltech’s Conform MDO is a specialty overlay saturated with phenolic resin. It has high-masking properties and is designed to be used as a concrete form overlay. It gives a smooth matte finish to concrete and is treated to release easily from forms when coated with the appropriate form oil. As with other Paneltech MDO products, 389C has a proprietary glue line formulation that gives it strong adhesive properties when bonding to all commonly used substrates. 389C is APA certified, and has undergone extensive field testing. MDO 389C exceeds the requirements of the PS 1-09 Voluntary Product Standard.